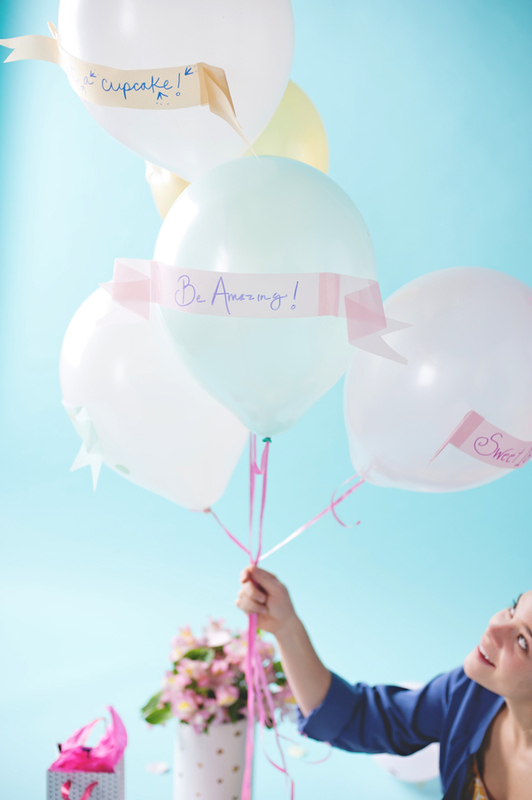 Making your balloons personal is a favorite activity around here (see what I mean). There are so many fun ways to do this but this idea is the easiest. A personalized party balloon saying whatever you can imagine becomes a simple task with a piece of vellum paper and a sharpie. Happy Birthday! Eat a Cupcake! You are Awesome! 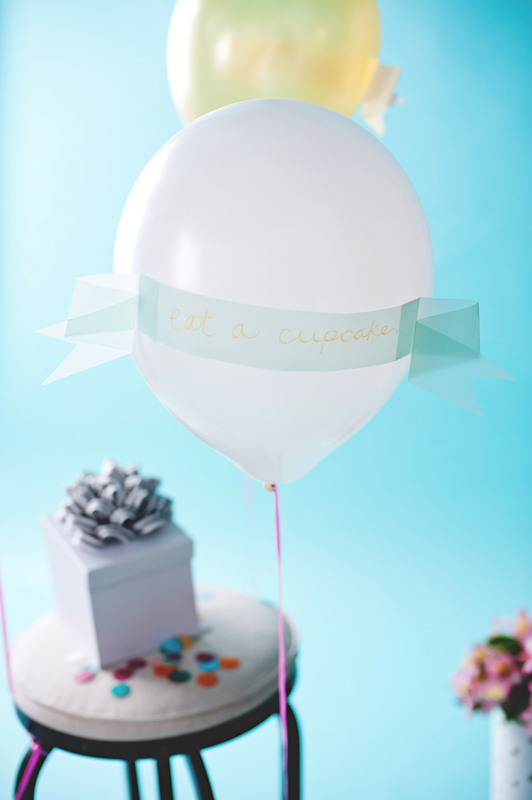 The options are endless with conversational ribbon balloons and your festive encouragement will shine through, no matter what else happens to be in the room – although this talking cake would go quite well. 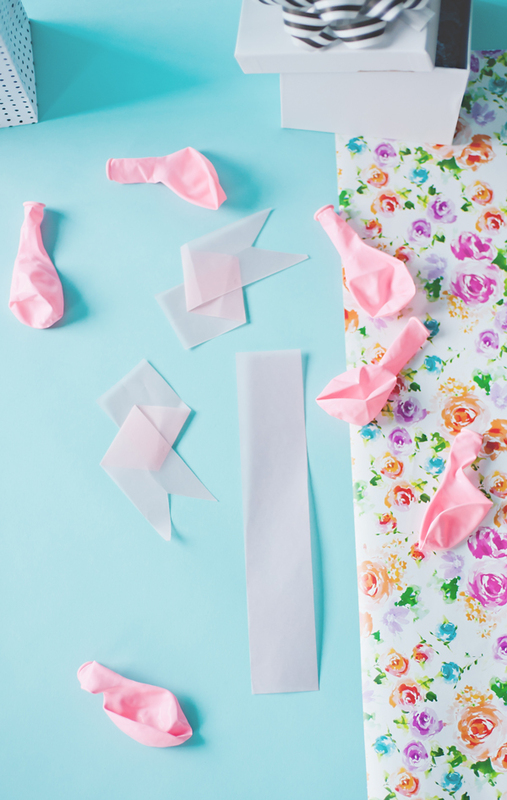 To create the conversational ribbon balloons – you’ll need to cut a piece of vellum paper. You need to use vellum, any other kind of paper will be too heavy and start to drag the balloons down. I also love that the vellum is transparent, making these balloons feel fresh and light for spring. Cut one long strip and two ribbon ends from the paper. Write out your words on the long strip of paper. Sharpies, or other thick markers will work the best for filling these balloons in and making a bold party statement. Glue the ribbons onto the inflated balloons leaving the ribbon ends tacked gently and hanging off the sides for a spunky and fun party look. 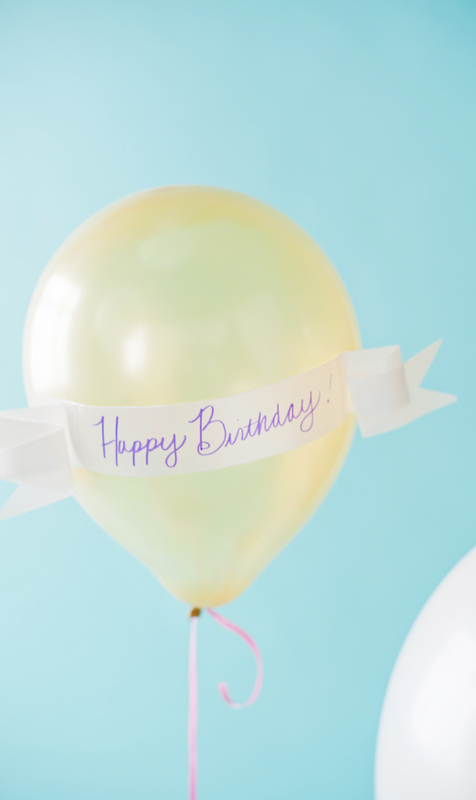 The conversational touch on these balloons will make them really fun to use for reminiscing at a birthday party, encouraging a graduate, or showering a friend with well wishes and high hopes. 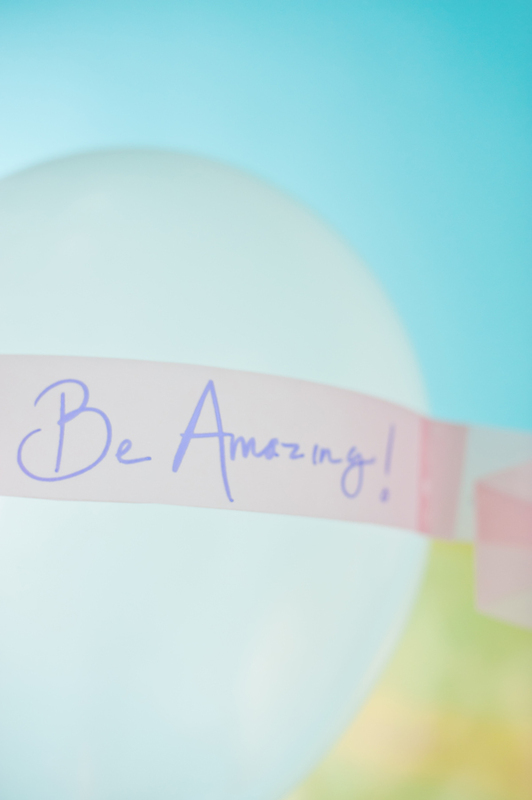 Get your guests involved by having everyone fill out a balloon ribbon. Filling the room with personalized thoughts is a perfectly sweet touch for any spring soiree. PS. How to print directly onto a balloon and a trick for keeping your balloons tethered down. (Photography © A Subtle Revelry by Erin Holland). 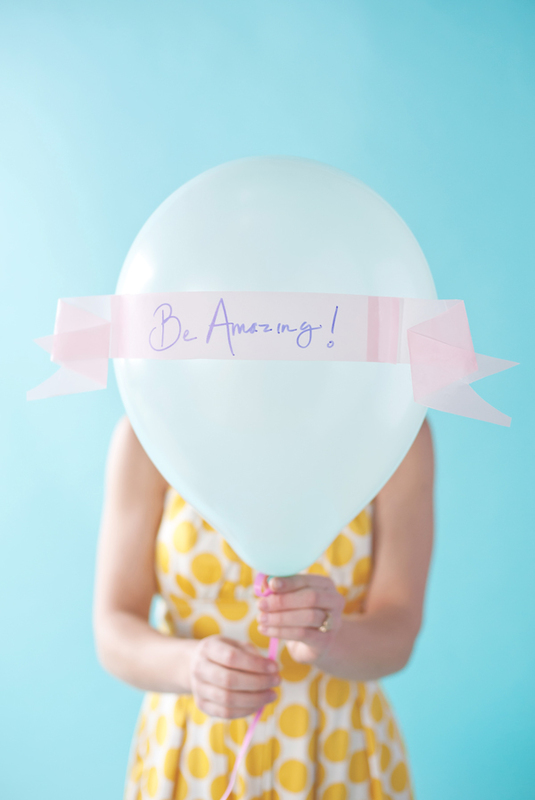 Such a Cute way to dress up a boring plain balloon!